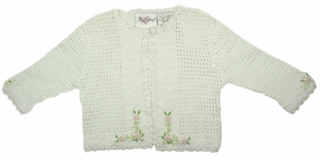 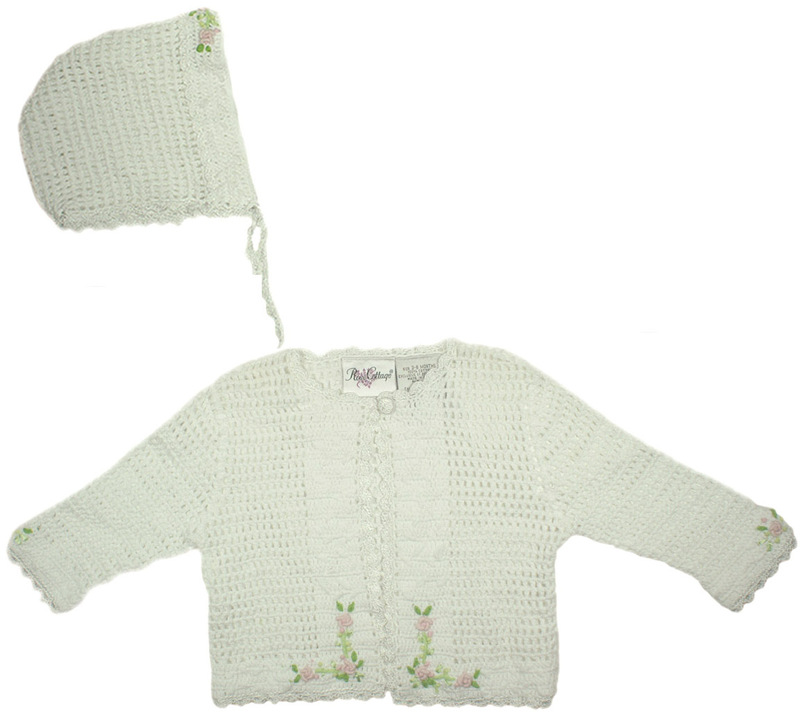 This adorable little white cotton crocheted sweater set is the perfect gift for your baby girl. 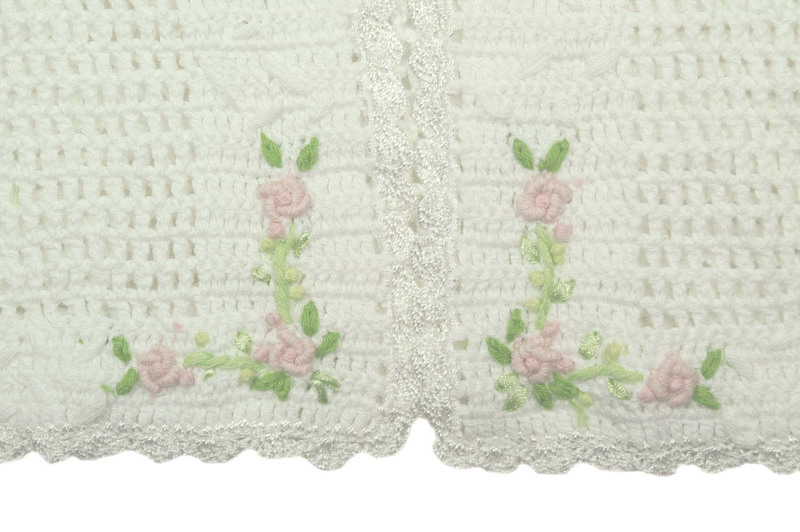 The sweater features pink embroidered roses the hem and sleeves. 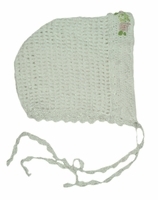 The darling matching hat also has embroidered roses.